The CDM regulations April 2015 have had a major impact on the supply and installation of a warehouse mezzanine floor, both for suppliers like us, but more critically for end users such as yourself. In the experience of NSI, there is frighteningly low awareness of the act and what the changes are, leaving directors and employees of businesses hugely exposed to prosecution. In the case of warehouse mezzanine installation, the impact of the act varies greatly on the size of the project and the complexity of the floor to be installed. For example, one of the key changes that came in with the act was the classification of projects using more than one trade simultaneously. So if a warehouse mezzanine floor requires lighting to the underside, and the provision of power points to workstations (both services NSI can supply), there is de facto two trades, which obliges the end user (not supplier) to specify a principal contractor on the project. He can nominate himself to undertake this role, and indeed if he fails to take any other action, by default he is assumed by the HSE to be so. Or he can nominate other parties to fulfil this role on his behalf. In most interpretations of the role, this requires the full time supervision of all critical activities on site by a non-productive supervisor, a controlling mind, and thus generally comes with costs associated for the properly qualified and non-productive response. 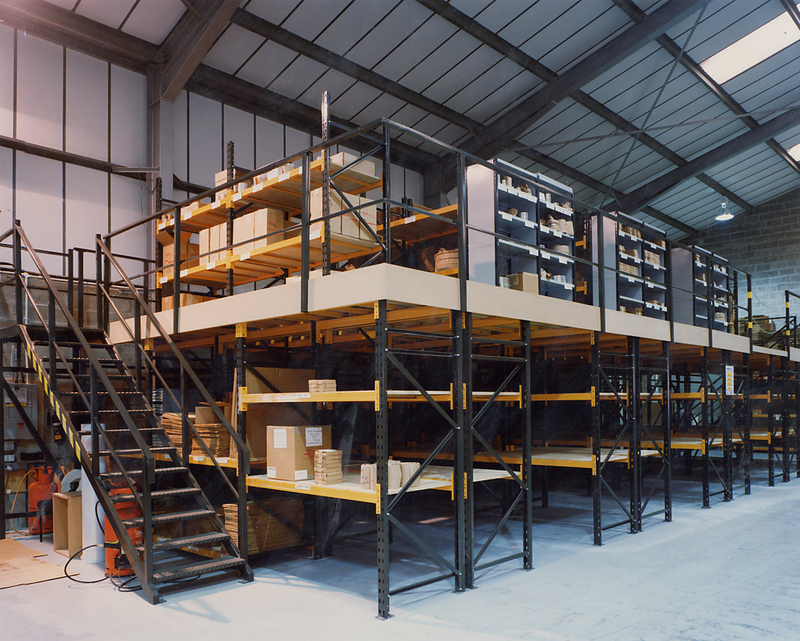 NSI can act as your warehouse mezzanine floor project Principal Contractor. The role would also manage the critical issues of where the build of the warehouse mezzanine floor interfaced with the existing operation, especially where heavy mezzanine beams were being transported to the installation location and where they were being lifted into place. The legislation affecting warehouse mezzanine floor projects has also changed with regards to what is notifiable to the HSE and what is not. Previously only projects over 30 working days OR 500 man days needed notifying to the HSE with an F10 form. This was also the threshold for requiring a Principal Contractor. Now the F10 only needs to be submitted if the project is of a duration of 30 working days AND 500 man days. In this incidence a Principal Contractor would be required also, but refer to the text above re the much lower test of the PC role re 2 trades. In the case of the need to a PC below the hours threshold, there is no need to notify the HSE, but they would of course expect to see this in place on any random visits or investigations around an incident. On all warehouse mezzanine floor projects that require a Principal Contractor to be nominated, the end client also needs to appoint a Principal Designer (follow link for broader explanation) for the project . Again, NSI can assist in this role, client should budget c £2000-£3000 on a mezzanine project where this is required.